Founded in 1977 as the nation’s first nonprofit investigative journalism organization, we are celebrating our 40th anniversary this year. Over those four decades, we have developed a reputation for being among the most innovative, credible and relevant media organizations in the country. 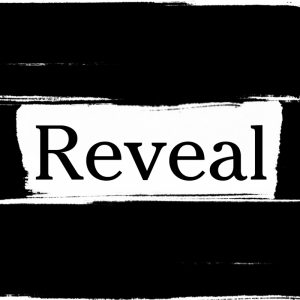 Reveal – our website, public radio program, podcast and social media platform – is where we publish our multiplatform work. Our award-winning journalists hold the powerful accountable and reveal government fraud and waste of taxpayer funds, human rights violations, environmental degradation and threats to public safety. We consistently shine a bright light on injustice and protect the most vulnerable in our society. From the San Francisco Bay Area epicenter of technological and creative innovation, our reporting ignites real-world change as evidenced by civil and criminal investigations, new laws and policies, the instigation of public discourse and solutions-oriented community action. CIR is nationally respected for setting the highest journalistic standards, and for our signature approach to investigative reporting and collaboration. We partner with numerous other media organizations, prioritize impact over exclusivity, engage with the public and track results. To reach a broad and diverse audience worldwide, we publish our stories online, as well as for print, television, radio/audio, video and live events. Our work has been recognized for its excellence, groundbreaking creativity and impact. Recent awards include: Emmy awards, a George Foster Peabody Award, a Webby award, a Military Reporters and Editors Award, a Barlett & Steele Gold Award for investigative business journalism, Alfred I. DuPont-Columbia University awards, a George Polk Award, IRE Awards for multiplatform journalism and an Edward R. Murrow Award for investigative reporting. We were a finalist for the Pulitzer Prize in 2012 and 2013 and a recipient of the 2012 MacArthur Award for Creative and Effective Institutions. Our organization retains full authority over editorial content, maintaining a firewall between news coverage decisions and the pursuit of revenue. Accepting financial support does not constitute implied or actual endorsement of donors or their products, services or opinions. We accept gifts, grants and sponsorships from individuals and organizations for the general support of our activities, but all editorial decisions are made independently, not on the basis of donor support. At times, we accept support for coverage of particular topics, but those topics are determined by our editorial staff, and we maintain full editorial control of the resulting coverage. Donors receive no preferential coverage, have no right to review editorial content before it is published and do not influence the direction or findings of our reporting in any way. 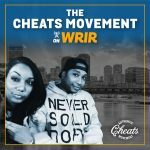 We do not accept donations from government entities, political parties, elected officials or candidates actively seeking public office, nor do we accept donations from sources who our board of directors deem could present a conflict of interest with our work or compromise our editorial independence.